Move To Vietnam aims to be a helpful guide for expats who are planning to move to this magnificent country. Our goal is to provide the most accurate and updated information to our readers. We are writing articles all based on our own experiences from our travel adventures to the transition of moving and settling down in Vietnam. What I love most about Vietnam is how it has everything for a traveller or an expat and even for a local. If you want to go hiking, go the north and enjoy Sa Pa or Fansipan, if you prefer the hustle and bustle vibe of a city, go stroll down Ho Chi Minh City. If you want a beach holiday, head to Phu Quoc Island. But if you want all of these in one place, come to Mui Ne. 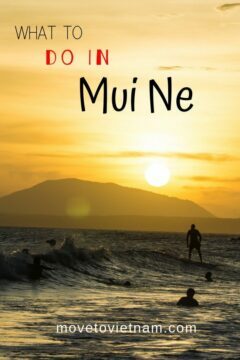 If you are backpacking in Vietnam, there is a big chance that you will come across the name Mui Ne. Mui Ne is sandwiched between Nha Trang and Ho Chi Minh, while it is located on the coast and offers great water activities, many travellers are drawn here because of its sand dunes, cute little fishing village and other attractions that you can't find anywhere else in Vietnam. You may use the table of contents below to navigate faster. Mui Ne is a beach town and stays warm all year round, therefore, remember that pack a swimwear and comfortable clothes. However, if you are planning to do any activities, check if you need to bring a specific clothing or pack specific materials for it. You should also check the weather during the time you will be spending in Mui Ne, since there will be rainy or typhoon season. You better be ready for it. You should also check this Vietnam packing list for more information, you can also check this article about visa in Vietnam or how to extend your visa. If you are concern about the weather, the best time to go to Mui Ne is between November and March. The sun will be shiny and the sky will stay clear. 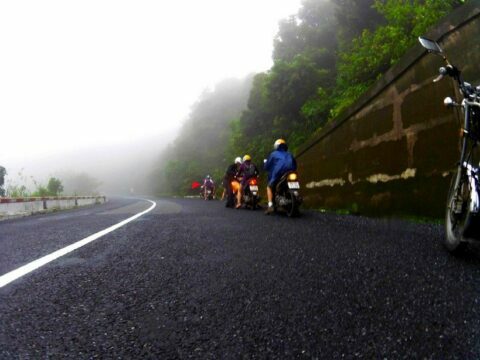 You definitely want to avoid the typhoon season as it will hinder many activities that you would want to do. 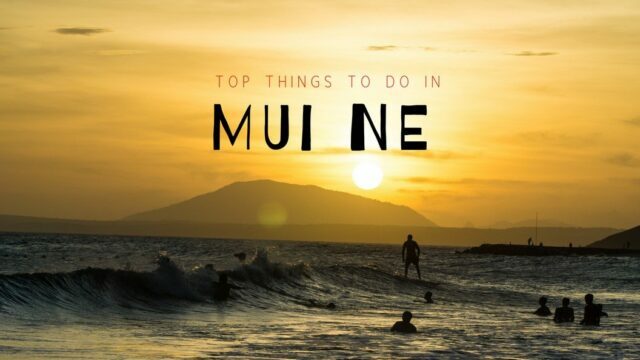 There are many things you can do in Mui Ne and around Phan Thiet. If you have a limited time, you can squeeze the must-sees for 3-4 days. If you have plenty of time, no need to rush them, enjoy and get yourself familiarised with this charming town. Below are the activities and attractions that you should not miss during your visit. 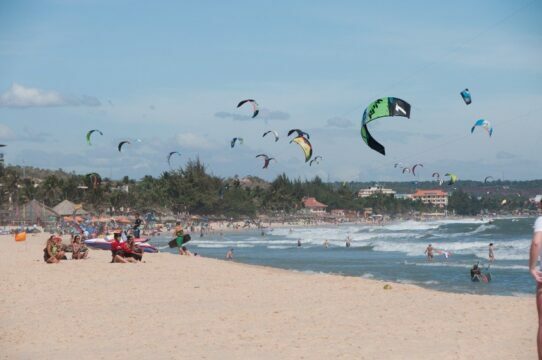 Since Mui Ne is facing the Douth China Sea, the wind it brings is perfect for water activities such as kite-surfing and windsurfing. Many professional heads to Mui Ne just to enjoy this sport. If you have not tried them before, there are many kite-surfing and windsurfing schools that you can enrol to. They will provide everything you need; from professional instructors, equipment and safety guidelines. It is undeniable that the most popular things to do in Phan Thiet is to ride an ATV across the White Sand Dunes which is less than an hour away from Mui Ne. To get here, you can either book a transportation from your hotel then pay for the ATV once you get to the Sand Dunes. You can also try to book online for a less-hassle and avoid any stress from bargaining with ATV operators in the location. We highly suggest this website. One of my favourite things to do in Mui Ne is the walk through the Fairy Stream. It is about a kilometre walk through the calm flow of the stream. Throughout the strip, you will be around the nature and see many rock formations along the way. If you have the energy, you can walk up to some of these formations or red soil hill and have a great view of the stream. It is called Fairy Stream because, in the old times, the older people will tell a story to their kids about fairies who live on this stream. Apart from that, when you get to the end of the stream (depending on where you will be starting, it could be the beginning), the natural set up looks like something from a fairytale. Trees' branches and leaves from each side of the stream are touching each other making a big arch just above the stream. Mui Ne has two sand dunes, one is called the white sand dune because of its fine white/beige sand and the other is the red sand dunes for its firey and hot red colour. 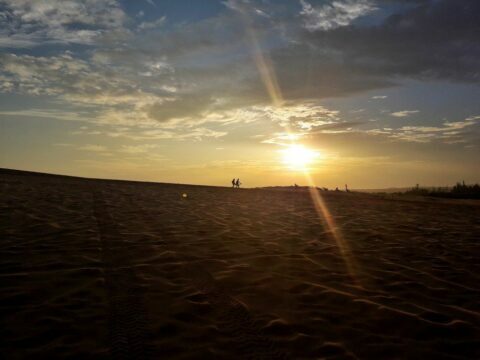 From both sand dunes, you can watch the sunrise and sunset, however, the white sand dunes is more popular. The red sand dunes is just 2 kilometres outside Mui Ne town proper. If you have the time, you can walk here, if not, you can take a taxi or a motorbike taxi. On both sand dunes, you can rent a do-it-yourself sledging pad which is made of plastic with a rope tied as a handle for 20.000 VND (less than $1) from the locals around the area. It is a fun thing to do with your friends and kids in the afternoon once the sun has cooled off. 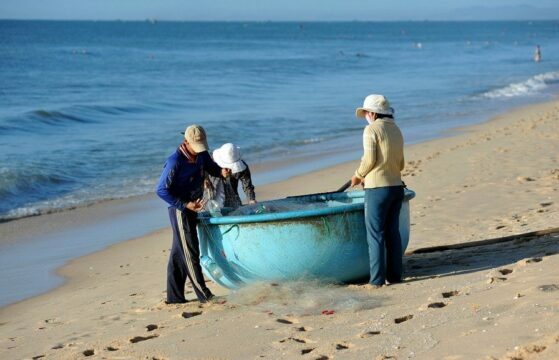 The fishing village is one of the main attractions in Mui Ne. The odd shape of the fishing boats and the technique of finishing here are unique and fascinating for many tourists. During the day, the fishing village is one of the busiest parts of the town. Take a stroll around or simply sit on top of the hill and watch the life of fishermen and the locals of Mui Ne go by their daily life. A beach holiday in a beach town is not complete without a lazy day bu the shore. 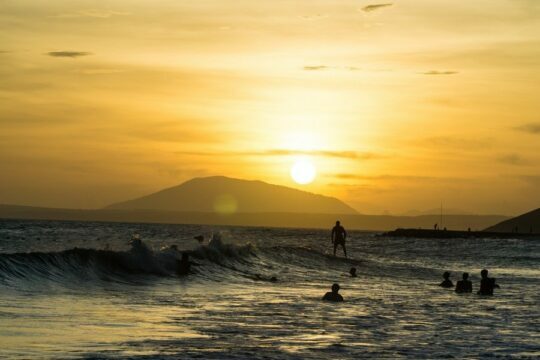 Although the water level in Mui Ne is often high tide giving many tourist hard time to enjoy the water or go tanning, if you head to the main town, you should be able to enjoy the sun and the water for a few hours. If not, you can drive to other beaches mostly towards Phan Thiet where there are fewer people and the current is less intense. 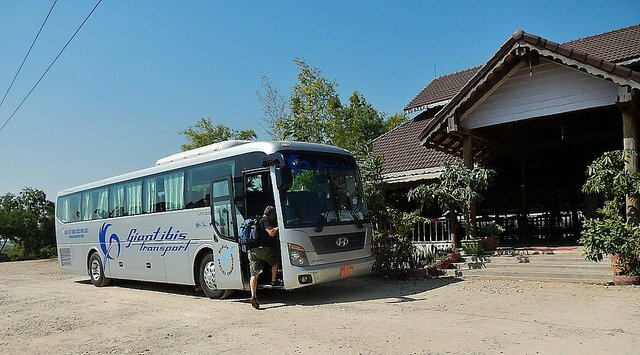 Getting to Mui Ne by bus is the most common and cheapest way to get to Mui Ne. From Ho Chi Minh City and Nha Trang, it is only 4-hour drive. while Da Lat is 3.5 hours The bus costs between $8-$12, remember that the cheapest option is not always the best. We're talking about the quality of the bus, even though 4 hours is not much, if you are hungover or tired or worse, sick, you will want to be as comfortable as possible. Most buses have toilets inside, they also provide a bottle of water or a small snack. There will be AC and the seats are reclined up well that you can almost lie down. Although for Europeans and Westerns, the seat can be a little too short or not wide enough. The bus should drop you off right at Mui Ne town proper or if your hostel or hotel is on the way (main road), you can always ask them to drop you right in front of it. Make sure that your bus is going to Mui Ne town proper and not in Phan Thiet bus station. This station is about 4 kilometres away. I made this mistake, I had no choice but to take a taxi which wasn't bad either. Unfortunately, there is no train that will take you right in Mui Ne. The nearest train station is in Binh Thuan which will require you to take a taxi for about 40 kilometres. You can also arrange a pickup from here with your hostel or hotel if you prefer to take the train instead of the bus. You can find more information about this option here. You can easily reach Mui Ne by motorbike. But remember to plan your route well and not to drive more than 6 hours just to reach Mui Ne. There are many little towns you can stop overnight to rest and let your bike cool off too. Find more information about reaching Mui Ne by bike on this article. If your budget permits, you can rent a car when you arrive in Ho Chi Minh, however, you can only drive if you have an international driver's license that has been legally converted into Vietnamese one. You should arrange a pick up service from the airport to your hotel or resort in Mui Ne. This is the most convenient way to reach Mui Ne. Getting around Mui Ne should not be a problem. There a lot of ways you can choose from; either by taxi, motorbike (to drive yourself) or get on a motorbike taxi. If you already have a motorbike with you, all you need is a map of Phan Thiet area and of course, keeping your gas loaded. You can also rent a motorbike once you are in Mui Ne, most of them are as cheap as $5 a day. It comes with a helmet for at least two people. Simply walk on the street and you will see many locals offering a motorbike for rent or ask your hostel or hotel receptionist. Motorbike taxis are the motorbikes that you can pay every time you hop on and tell the driver where you want to go. This is very affordable, when I was there, I paid a minimum of 10.000 VND (less than $.50) for a short distance ride and 25.000 VND ($1 for a 3-kilometre drive). The driver might not be able to speak English, just show him or her your hotel address or the name (bring your hostel or hotel's business card everywhere), and he'll know where to take you. Agree about the price before jumping in, if you can't say the numbers, type it on your phone or show an actual money in actual value that you are willing to pay. And of course, there are the taxis, you can hail them on the street or walk to a fancy hotel or in front of a top attraction, most of the time, they are parked there. If they can't speak English, use the same technique that I mentioned on motorbike taxis. Agree with the price before getting inside or ask them to run the metre. Watch the metre, if it's running to fast, get out, walk away, and get a new taxi. You can also ask your receptionist to call you a taxi to stay on the safe side or if you hate haggling like me. Mui Ne a very touristy place which means it has a lot of accommodations to choose from. Either you are on a budget, travelling with your family and children or looking for a luxurious resort, you are covered. OR CHECK OUR ARTICLE ABOUT "WHERE TO STAY IN MUI NE"
This is a party hostel located on the top of a hill giving all its guest a great view of the sea. If you like to have a crazy night while meeting backpackers, this is definitely the place you want to stay while in Mui Ne. If you prefer to be down by the main road 2-minutes away from the beach, Mui Ne backpacker Village is a great place to stay in Mui Ne. It is also a party hostel where they host games, pool parties, and invite DJs. Longson Mui Ne is a camping ground-slash-hostel. A great place for those who prefer a quiet place to stay. It is located by the beach and offers a free breakfast on selected room and happy hour to everyone. For a full-on holiday, pamper yourself and stay at the best hotels and resorts in Mui Ne. Experience the Vietnamese hospitality and enjoy a great view every morning. 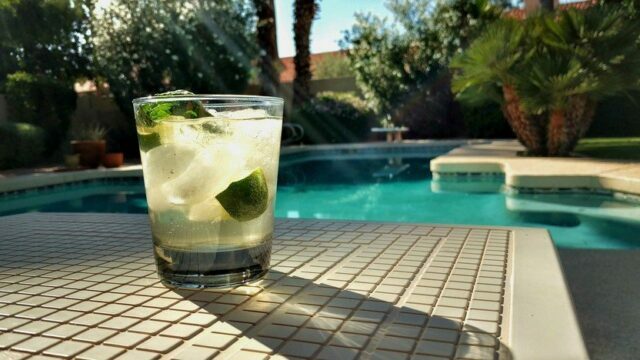 Complete with the best features such as two swimming pools, bar, fitness area, spa centre, and a private beach. There is nothing better place to stay for a luxurious holiday in Mui Ne for couples. If you are travelling with your family with small children, not many hotels and resorts are family-friendly but not in Mui Ne. There are resorts that are simply dedicated to family travellers. 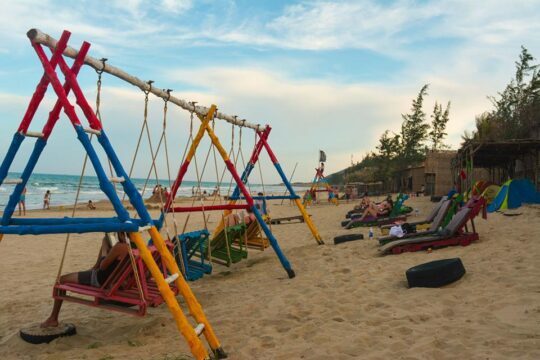 Without sacrificing your need for a relaxing holiday in a nice resort, you can stay at Hoang Ngoc Beach Resort where they cater to families specifically. They also have a fitness centre, on-site restaurant with massive seafood menu, private beach for you and your kids to enjoy, a swimming pool to relax, and a great view from their rooms. 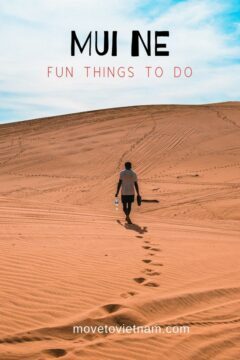 I hope this article helped you finding about the top things to do in Mui Ne and Phan Thiet while you are there. If you have any questions or concern, write a comment below or send us an email. I WANT FREE TIPS ABOUT VIETNAM! MOVE TO VIETNAM IS A PARTICIPANT IN THE AMAZON SERVICES LLC ASSOCIATES PROGRAM, AN AFFILIATE ADVERTISING PROGRAM DESIGNED TO PROVIDE A MEANS FOR SITES TO EARN ADVERTISING FEES BY ADVERTISING AND LINKING TO AMAZON.